What Causes Moisture In Between Window Panes? Double-pane windows, or insulated windows, are highly energy-efficient—able to lessen the amount of heat passing through their panes that are going into or out of homes. These windows are particularly useful during cold winter months. If your home has double-pane windows and you notice any condensation or fogging developing in between the panes, you should contact a professional who specializes in glass window repair in Houston . 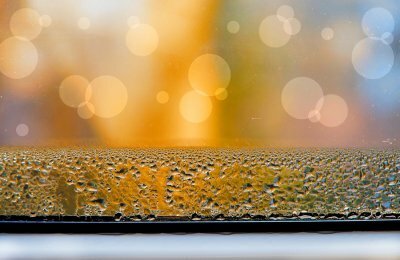 Moisture accumulating in between windows is an indication that your window’s seals have been compromised, and that they are allowing air to infiltrate the chamber between the glasses. Insulated windows are constructed with two panes of glass that are placed parallel to each other on a specialized frame. Inside the frame, and in between the glass panes, is a closed chamber that is sealed off and is usually surrounded by a desiccant (moisture-absorbing) strip. This space traps a layer of air—or gas, such as argon or krypton—which expands and contracts. When sunlight warms up the space, the air expands and creates pressure against the panes. When night falls, the air is cooled and contracts. Over time, these daily cycles, known as thermal or solar pumping, can stress the window’s glass’s seals, causing them to crack. Eventually, these cracks widen enough to allow air to enter the chamber. Water vapor in air condenses when it comes into contact with a relatively cold surface, producing moisture on the panes. Windows located on walls that are not shaded from the sun, or where sunlight is strong, are susceptible to larger temperature fluctuations, which mean they experience more intense thermal pumping and a higher rate of failure. Window frames made of vinyl can experience greater thermal-expansion rates and long-term stress, which result in a higher rate of failure. Windows can also fail due to manufacturing defects. If you neglect to address a moisture issue in between your double-pane window, you risk permanently damaging that window. Condensation can bead continuously on glass inside your window’s chamber, and those droplets run down the glass over and over, consequently etching grooves into its surface. In extreme cases, silica hazing can occur when a window’s desiccant becomes oversaturated and erodes. Silica particles can be carried by air moving through cracks in the seals, which can accumulate on glass surfaces and ruin them. Hurricane Glass & Mirror has been providing commercial glass and commercial glass replacement near Houston for the past 30 years. Additionally, the company offers a wide range of commercial services including—but not limited to—contract glazing, storefront windows and doors, storefront systems and installation, and emergency services available 24 hours a day, seven days a week. 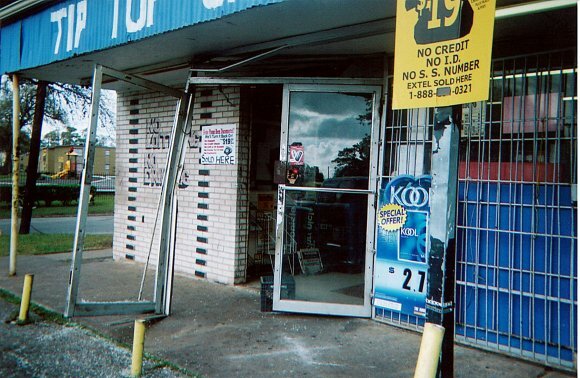 Regarding storefront systems, the skilled team at Hurricane Glass & Mirror can install aluminum framed walls and entrances, curtain walls, and blast-resistant and hurricane-impact systems. Hurricane Glass & Mirror also offers an excellent selection of commercial glass such as insulated glass, plate glass, and spandrel glass. They specialize in safety glass—a product that is manufactured with safety features that deter it from breaking or causing harm if it’s broken—and its installation. Safety glass comes in different grades for you to choose from: laminated glass, tempered glass, bullet-resistant glass, and hurricane glass that’s strong enough to resist powerful wind. Though generally regarded as practical items, mirrors can be used to dazzling effect in thoughtful and aesthetically pleasing design schemes. Whether reflecting light from a bay window or adding a sparkling element to a kitchen’s backsplash, mirrors are highly versatile. Ask a design professional at any glass company located in Houston, and he or she will say that when mirrors are used correctly, they can add depth and dimension, as well as visual interest, to any room in your home. However, if used haphazardly, mirrors can bring attention to things in your home that you may not necessarily want to spotlight. Here are some pointers on how to use mirrors the right way in interior design. There aren’t many things that are more elegant in a home than a beautifully framed, full length mirror, placed on the floor and leaning against a wall. Not only can it be a statement piece, but it can also serve a practical purpose when strategically propped in a dressing area. Mirrored furniture, such as a chest of drawers or a desk, are also great candidates for being focal-point pieces. 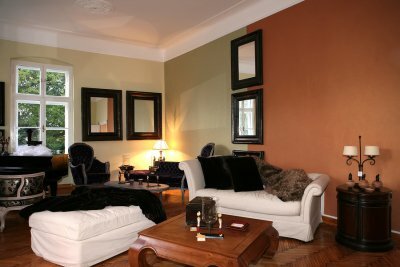 If you’re having trouble decorating a small room or a narrow hallway, you should utilize a well-placed mirror. Large mirrors in small rooms trick the eye into seeing depth that’s not actually there, making those spaces seem larger than they are. Similarly, a horizontal mirror placed in a narrow hallway can trick the eye into seeing width, making the space seem wider and creating a nicer transition between two rooms or entryways. Be very deliberate when choosing to use mirrors. Don’t use them randomly or as an afterthought. A mirror that’s thoughtlessly placed in a room can highlight unsightly things you really don’t want to see such as clutter, damage on walls or furniture, bad views from windows, or unattractive furniture pieces. Also, you should consider adopting some or all of the principals of feng shui—there is a bounty of information online or at your local bookstore regarding this ancient Chinese practice. Glass can be used for so much more than bathroom mirrors. In fact, at Hurricane Glass & Mirror, we can custom design a range of residential glass, such as glass mirrored walls, glass shower doors, glass front door, and glass table top in Houston . Our glass table tops have been used as desks, coffee tables, dining tables, conference tables, and patio tables. 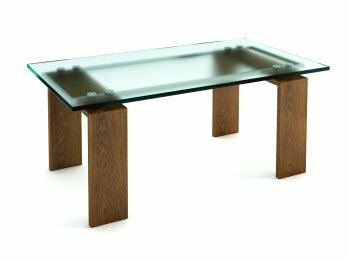 Unlike wood tables, glass tables are very difficult to damage and do not require refinishing. Our glass tables are typically made from 1/4” thick plate glass, but we also have heavier glass that is 3/8” or even 1” thick. Our glass is American made and comes in a range of shades, patterns, and edge choices. The bark edge has an organic appearance similar to wood bark, while the bevel, double bevel, beveled ogee, and dual bevel edges have a formal, modern look. Our mitre, French mitre, chamfer, and high-polished edges are an attractive look if you are looking for a sharp edge design. In contrast, the pencil polish, ogee, bull nose, and waterfall edges are smooth and curvy.